For more than a quarter of a century, the Cleveland Quartet was hailed as one of the premier string quartets of our time. 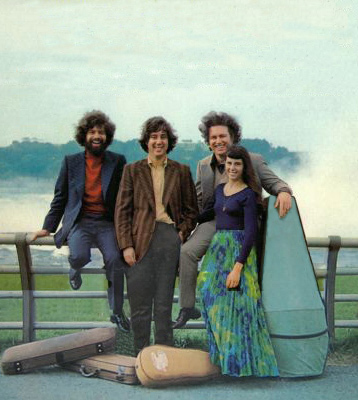 Since their inception in 1969, they played more than 2,500 concerts (including appearances in the major music capitals of the world), created award-winning recordings of more than 60 chamber works, presented premiers of numerous contemporary compositions, and spent countless hours as dedicated conservatory teacher-performers (initially at the Cleveland Institute of Music, then at the State University of New York at Buffalo, and finally at the Eastman School of Music in Rochester). During 26 years of intensive music-making as one of the most admired ensembles on the international scene, the Cleveland Quartet performed nearly 30 complete Beethoven quartet cycles in cities such as New York, Washington D.C., San Francisco, Paris, Rome, London, Florence, and Tokyo. They had undertaken a regular series of recital tours throughout the United States, Canada, Europe, and Japan, and had also performed in the former Soviet Union, South America, Australia, New Zealand, the Middle East, and Eastern Asia. Other highlights of their career included appearances at such prestigious music festivals as the Salzburg, Edinburgh, Lucerne, Berlin and Helsinki, as well as annual appearances at New York's Mostly Mozart Festival and 20 years of summer residencies at the Aspen Festival in Colorado. In addition, they made numerous radio and television appearances, and performed in a Presidential Inaugural Concert. As 20th century musicians, the Cleveland Quartet was deeply committed to the performance of contemporary music. Since its founding in 1969, it regularly commissioned and premiered works by American composers, including Samuel Adler, John Harbison, Libby Larsen, Stephen Paulus, Christopher Rouse, and Dan Welcher. In its last year the Cleveland Quartet gave the world premier of Osvaldo Golijov's Dreams and Prayers of Isaak the Blind.